Hey everyone! We're past the half way point in the week already, I feel like an old woman moaning about how fast time goes but I genuinely can't believe it sometimes. 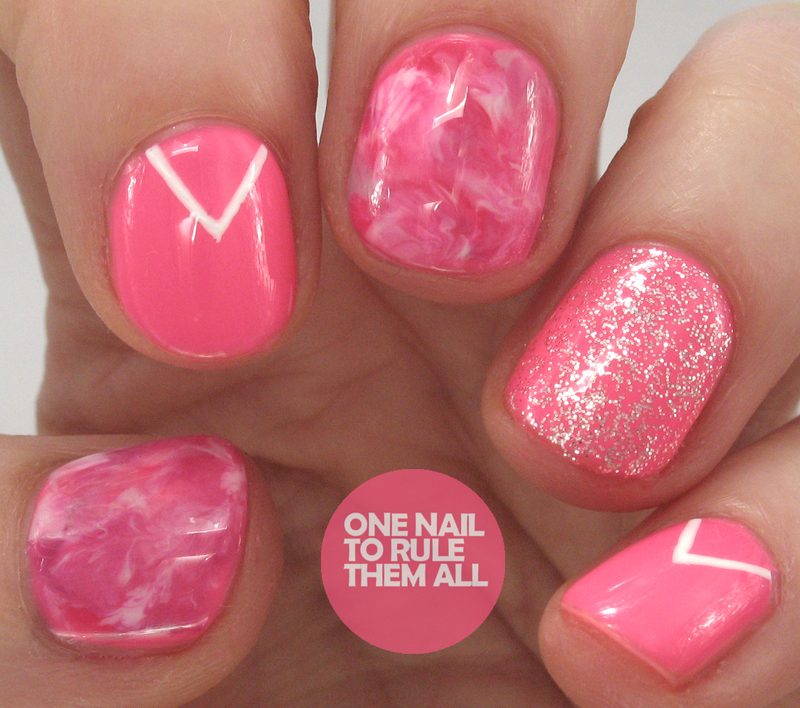 'Hump day' needs some fun nails to brighten it up (although hump day is technically over in the UK). 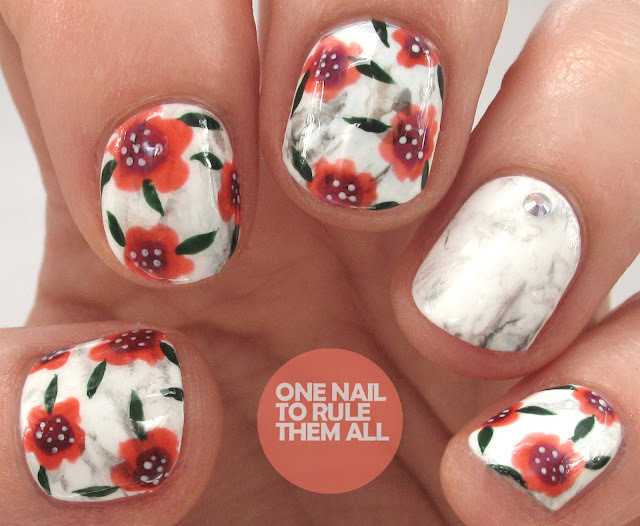 For these nails I was playing around further with the L'Oreal Color Riche L'Huille collection* (review here), and I decided to create some marble nails using this tutorial from The Nailasaurus. I wasn't 100% happy with the finished product, so I decided that adding flowers over the top would brighten things up a bit. I'm still undecided on whether these are a nail fail or not, but they've definitely grown on me so I wanted to post them nevertheless. Hey everyone! I've had such a lovely weekend, it's my boyfriend's birthday today and it was really nice to give him his presents, which I've been wanting to see his reaction to for weeks. Luckily he really liked them (or so he said!). I love giving presents, I'm sure my 10 year old self would be shocked to hear me say that but as I've got older I've really started to appreciate it more. I'm especially excited when I can't measure what their reaction will be! Anyway, today's post is a review of the new Winstonia Henna stamping plates*. I've recently been trying my hand at stamping a bit more, so when I was offered the chance to try this new plate duo by Winstonia I jumped at the chance. There are two plates in the collection, each containing intricate henna-inspired designs. When I first saw them I thought they would be out of my skill set but the Winstonia stamper picked the designs up with ease. 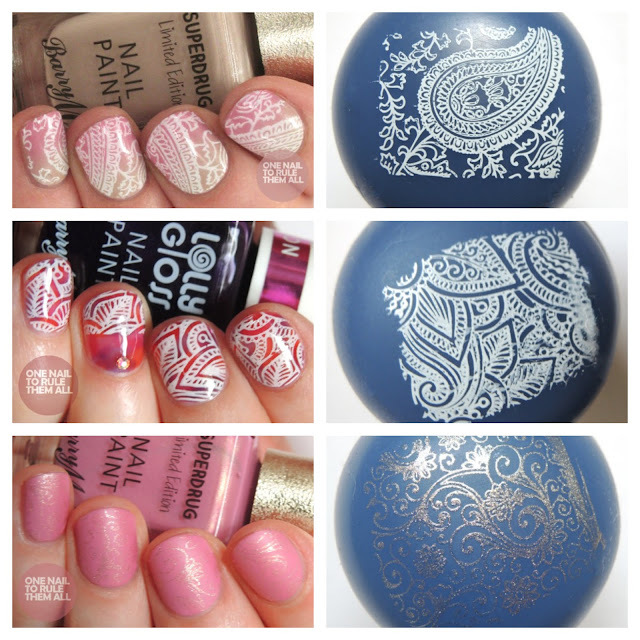 I created 3 looks with the stamps to showcase them, but there are so many possibilities for great designs so I'm sure you'll see them again! This post has been a very long time coming. 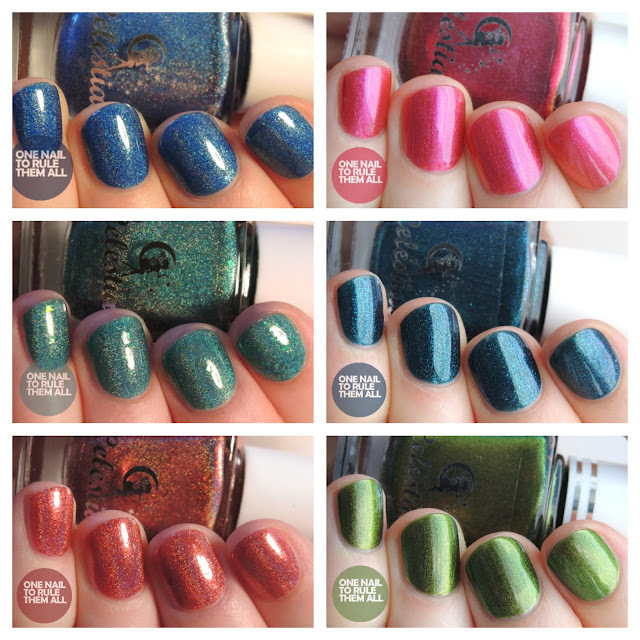 I've had my swatches done for ages, but then I couldn't find the time to edit them, and when I'd edited them I couldn't find the time to write the post on them. 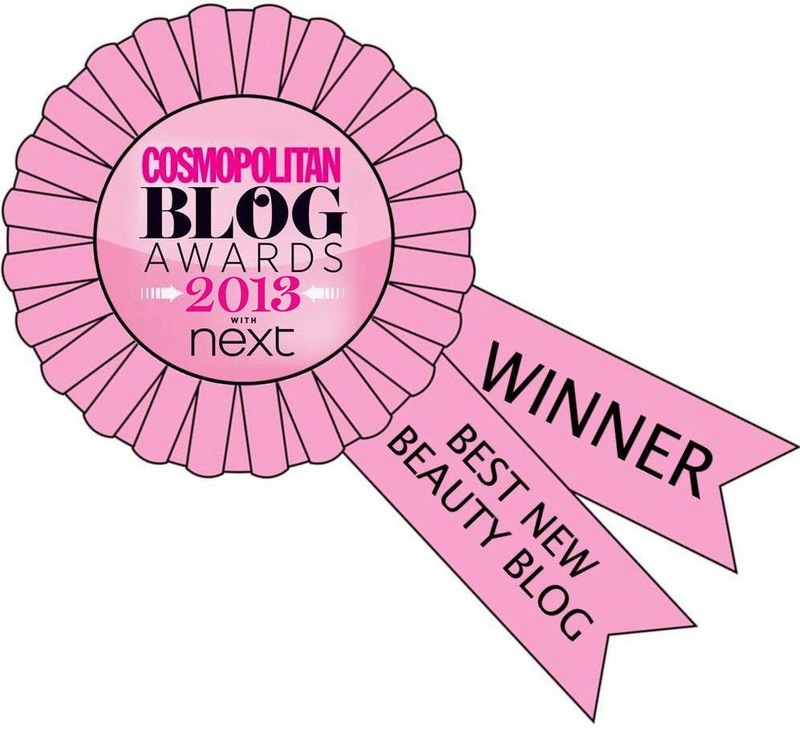 So here I am, finally sitting down and writing a post on them. Let me start by saying that I love this collection, with the exception of a couple of polishes that I haven't actually featured here I love every single polish (so a whole 10 colours, although I could only fit nine in my collage image), and so it's definitely not a reflection on the polishes that it's taken me so long to write this. Just ... sometimes life gets in the way. 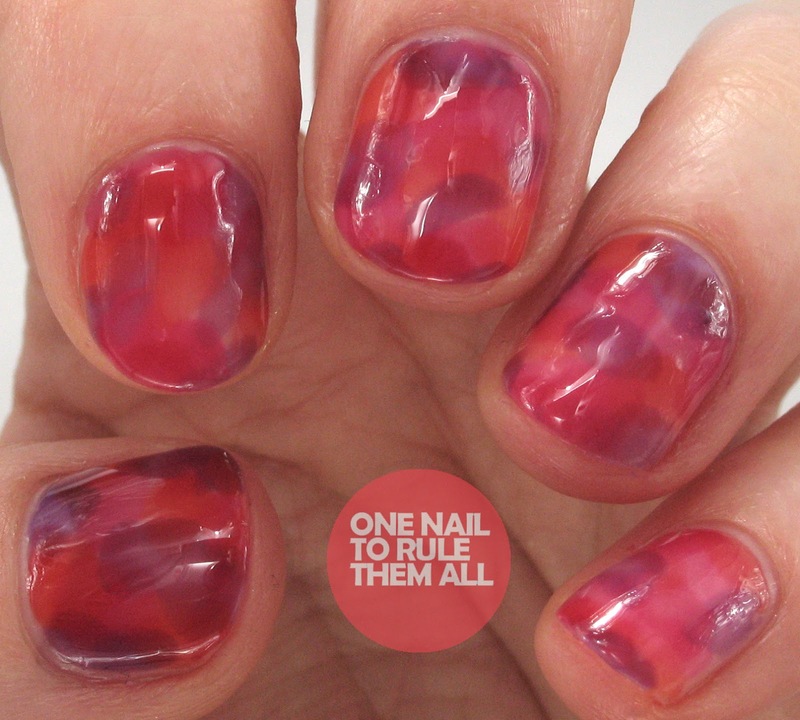 And it especially gets in the way of a super long review (which in my book is anything more than 6 polishes). 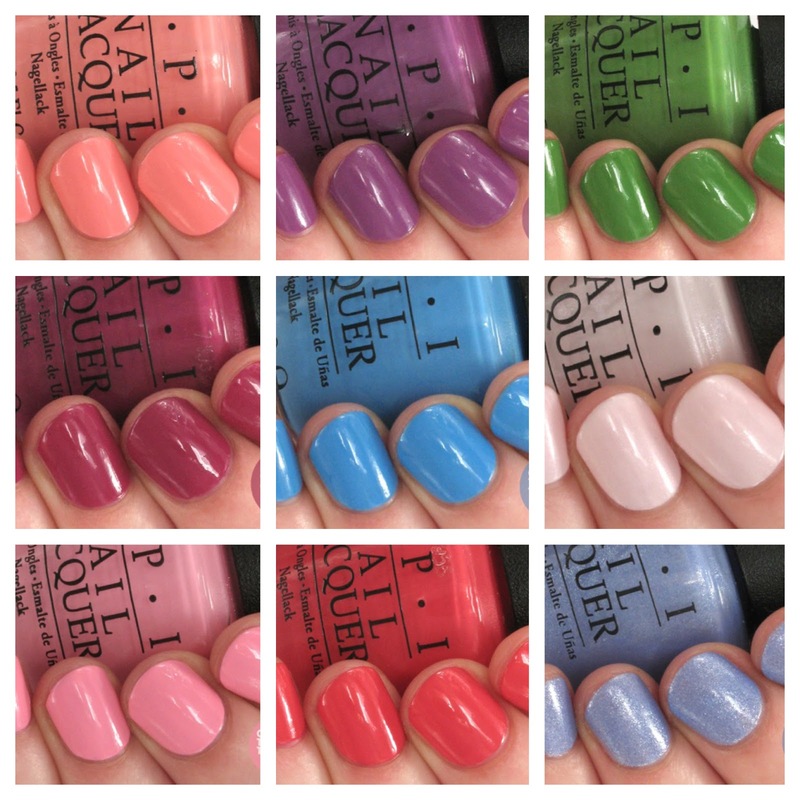 The OPI New Orleans Collection* was released for Spring 2016 (it's still spring so technically I'm not even late) and is typical of their yearly collections named after a place, or even sometimes twice yearly (correct me if I'm wrong?). I know very little about New Orleans, but I do know I like these polishes, there are so many fun shades in here. Whilst they're not all 100% unique, they're great for summer and great for nail art. 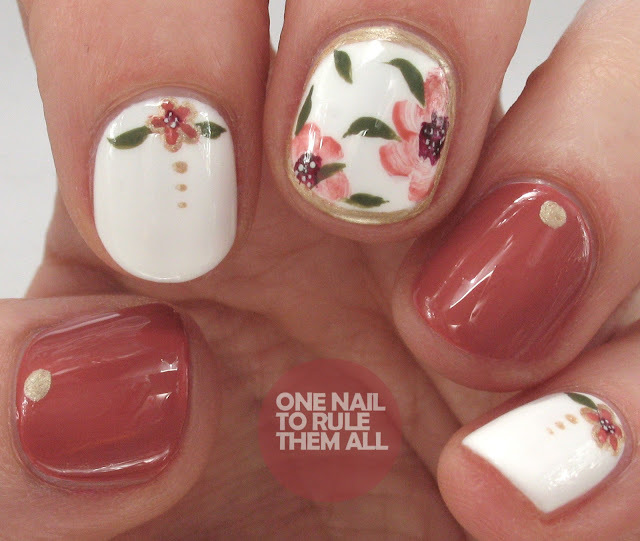 I have actually been using these in nail art for months so you will have seen them popping up here and there. Recently I was asked if I would like to review the L'Oreal Color Riche L'Huile collection*. I've never tried L'Oreal polishes properly so I of course said yes, but ashamedly I did no further research into the collection. Next thing I know this massive parcel turns up, and it's got drawers and it contains a mountain of beautiful polishes. As soon as they arrived I tested 5 different colours on my left hand (because I was already wearing a design on my right) and I was blown away with the consistency. They promise to be opaque in 1 coat but as I always use 2 coats I stuck with that for my testing, but application was a breeze. 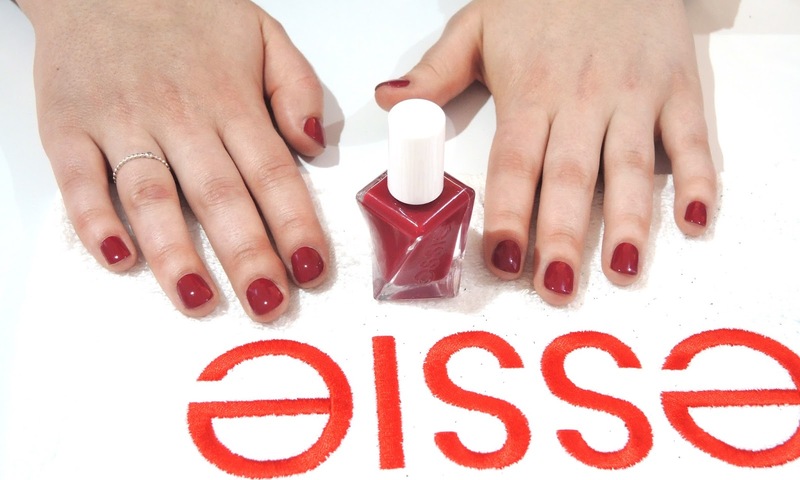 L'Oreal says that these polishes have been years in the making with testing done to ensure a drip-free brush with over 400 bristles for a precise and quick application. That does of course mean it has a wide brush, but I know many prefer a wider brush for easy application. 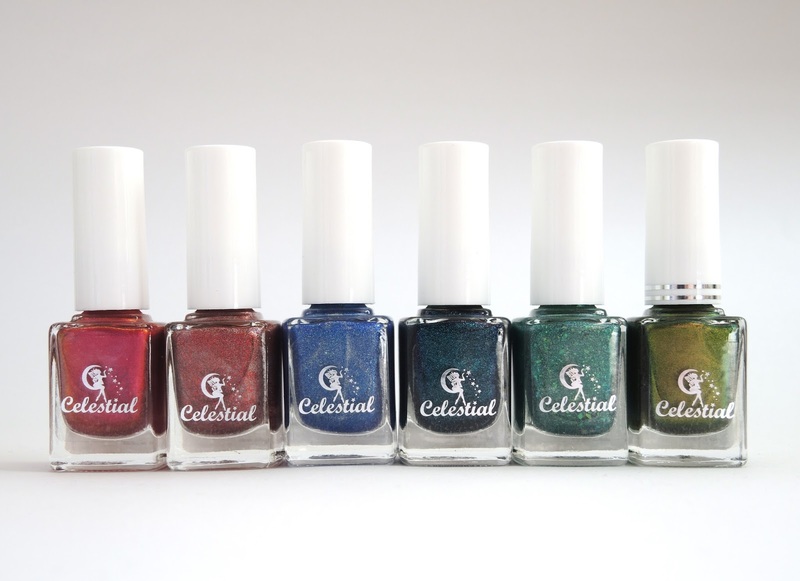 The polishes also have an oil based formula which adds to the ease of applying them as they glide on to the nail. There's quite a unique feeling to the application of the polish, I'm guessing due to the oil, which is difficult to explain. I'm sure you'll be seeing these polishes a lot more around my blog but for now I wanted to introduce you to the collection and show you some nail art I did using some of the polishes. Hey everyone! Hope you all had a lovely weekend, I spent mine exploring the Yorkshire Sculpture Park and eating ice-cream in the unusually warm weather. It was nice to have a whole day relaxing and not having to think about anything. Normally I spend Sundays doing all the washing (it's boring being an adult sometimes), but our washing machine is currently broken so I managed to escape that task for this week. In my review of Gelish - Last Call I mentioned that I wouldn't be able to resist using it again, and it seemed like the perfect colour to use for this nail art inspired by this Daisy Dixon watch*. Daisy Dixon recently contacted me and asked if I would like to pick out a watch from their collection, and of course I said yes. 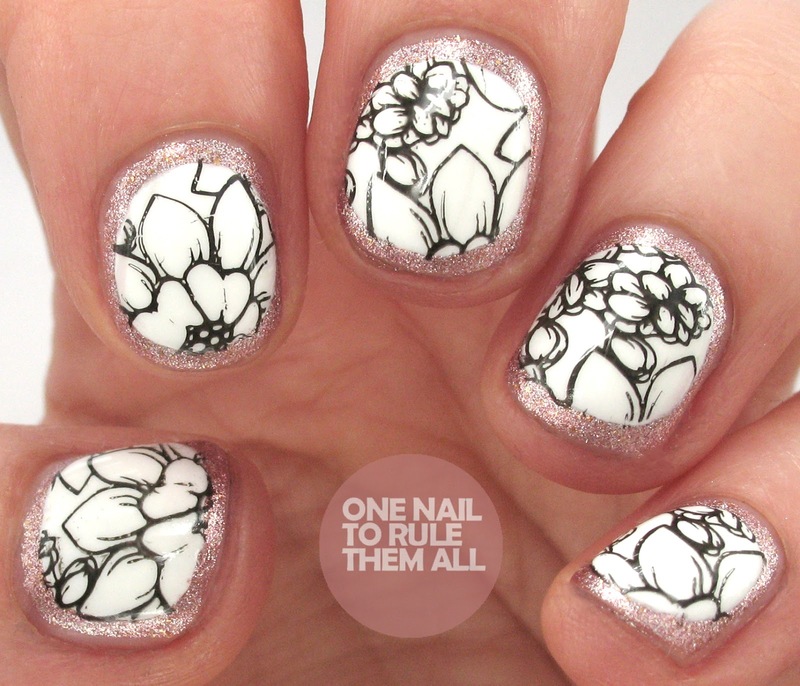 It took me a while to decide which I wanted as there are so many to choose from on their site, but I eventually decided on the Chloe White Floral Print watch*, mainly because I knew it would work so well for nail art. Hey everyone! This weekend in the UK was the May bank holiday weekend, so we've had a nice three-day weekend. It's been great to have that extra time off but I'm actually more tired than I should be as I didn't get to sleep until 3 last night. Today I've genuinely spent the whole day re-watching Sherlock and not doing much else really because I was too tired to contemplate being productive. Today's review is of the April Meebox*. Meebox is a monthly subscription box (you can see my previous review of February's box here) I must stop you before you roll your eyes and say 'another subscription box?' because Meebox's stand out from the crowd in my opinion and are consistently great. I've been really impressed with both boxes I've received (and other boxes I've seen across social media that I haven't received). For just £20 a month you're getting value for money, this month's box would total almost £40. Each month the box has a theme, and this month's theme is 'Hitched', their first bridal theme. Each month you are emailed what the theme will be on the 1st of the month, and you can choose whether or not you would like to receive the box. There's no contract, you can opt in and out whenever you want, and I think that freedom makes them quite unique. 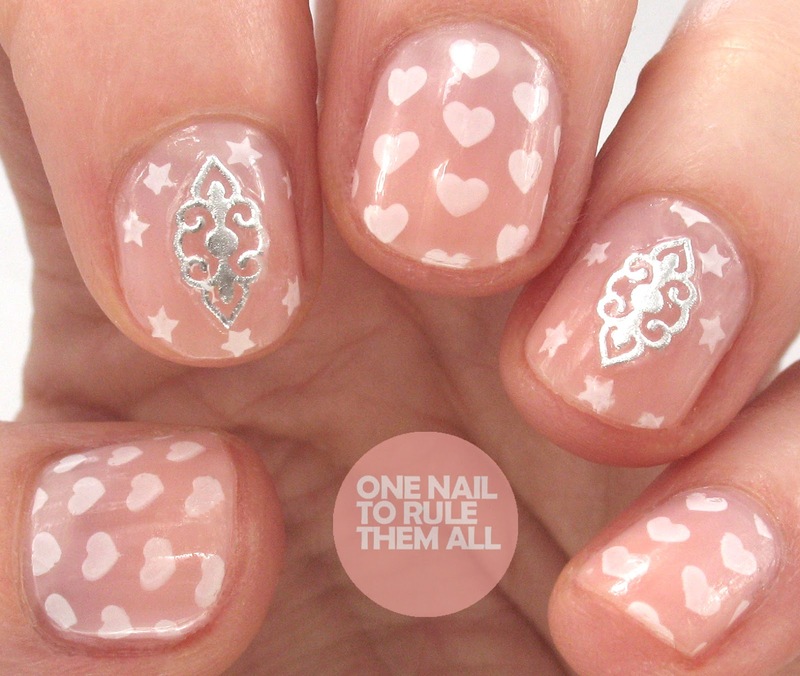 I decided to create these simple heart stamped nails with some of the products from this month's box (read on after the jump to see the products).